The show focuses on the debate between the notion of Intelligent Design and the Theory of Evolution and to do so uses the 2005 trial Kitzmiller, et. al. v. Dover School District, et. al. Most simply, Ms. Kitzmiller and 10 other parents of children in the Dover school district in Dover, Pennsylvania sued the school board for ordering science teachers to read a statement stating that there were gaps in Darwin's Theory of Evolution, and that the idea of “Intelligent Design” (ID) was a viable alternative. Kitzmiller, the science teachers, and others believed that Intelligent Design was nothing more than Creationism using different terminology. If the trial proved them correct, Intelligent Design would not be allowed to be discussed in the classroom as it represents a violation of the Constitution's Establishment Clause (the separation of church and state). 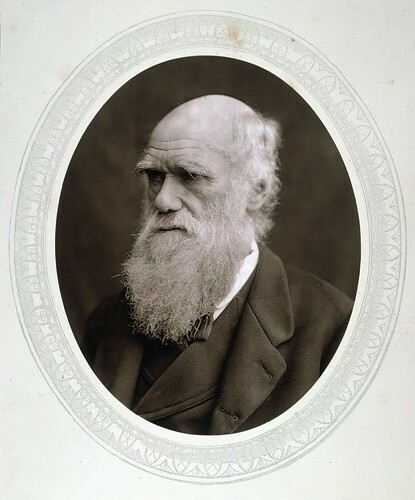 Darwin's theory argues that over the course of an exceedingly long period of time life on this planet grows and changes. These changes occur in animals as a result of mutations, and beneficial ones tend to allow an animal to live longer and thereby reproduce more and more successfully. As animals with these changes reproduce more, the changes are, over several generations, incorporated into the population of the species as a whole. Intelligent Design, on the other hand, argues that some things are just so complex that there had to be an “intelligent agent” that designed (ID proponents prefer the use of the word “design” to “create”) them. Followers of ID use the term “irreducible complexity” to describe certain things found in the world. One of the things often pointed to as system with irreducible complexity is bacterial flagellum. As explained in the Kitzmiller trial by Dr. Michael Behe (a believer in ID), the structure that allows bacteria to move, the flagellum, is hugely complex (there are dozens of pieces involved) and it would not work at all if just a single piece were missing. Therefore, the argument goes, the individual pieces would not have evolved over time because there was no benefit to the individual pieces, the entire system had to have been created as a single unit (something that would not happen within Darwin's theory). That makes perfect sense, right? The only way the bacteria can move is via the flagellum, and the system by which the flagellum works requires each individual part of the system to be present. Remove one part and the bacteria can't move. Evolution argues that it would never have simply appeared, and there is no advantageous reason for only part of it to exist. Thus, it was created via an intelligent designer. Sure, it sounds great, Darwin's theory certainly would not state that the entire apparatus would simply sprout up in one generation. The problem, as shown in the Kitzmiller trial, is that many of th e parts of the flagellum do in fact appear in other things and, while they don't allow for movement, they do make other processes possible. Thus there is an explanation of the evolution of bacterial flagellum if one cares to examine it. Outside of using innumerable scientists to show the basis for evolution, explaining that in science the use of the word “theory” does not have the same meaning it does to laypeople, Kitzmiller's lawyers and experts examined draft copies of a book Of Pandas and People, that was “anonymously donated” (as it turns out members of the school board had a strong hand in the donation) to the Dover school district as a textbook on Intelligent Design. The textbook, which was being written prior to, but only published after the 1987 Supreme Court decision contained some interesting facts. For instance, prior to the 1987 decision, Of Pandas and People didn't mention “Intelligent Design” (the term had not yet been coined), it was about Creation and defined the term specifically. After the 1987 ruing the book discussed “Intelligent Design” and defined it in the exact same way it defined Creation, changing “intelligent Creator” to “intelligent agency” of course. The school board's assertion in all of this is that they began looking into Intelligent Design because they wanted to present alternative theories to evolution and were upset that the biology textbook was “laced with Darwinism.” However, as Behe (a defender of ID) pointed out at the trial, the same definition he uses to define science, one that might make ID a scientific, also makes Astrology a science as well as other disproved theories (like the ether theory of the light). Nova goes to great pains to recreate scenes from the trial using the transcript (cameras were not allowed in the courtroom) as well as interviewing people that took part on both sides of the case (though many people on the ID side declined to be interviewed). The episode goes into great depth as to what happened in Dover, why, and the ramifications of the Judge's decision. It is well thought out, well presented, and about as even-handed a presentation as one could hope for. The Dover school district would do well to adopt it as a required part of their curriculum. Nova – “Judgment Day: Intelligent Design on Trial” airs on PBS November 13 at 8pm ET/PT. Check your local listings however, because you won't want to miss it.